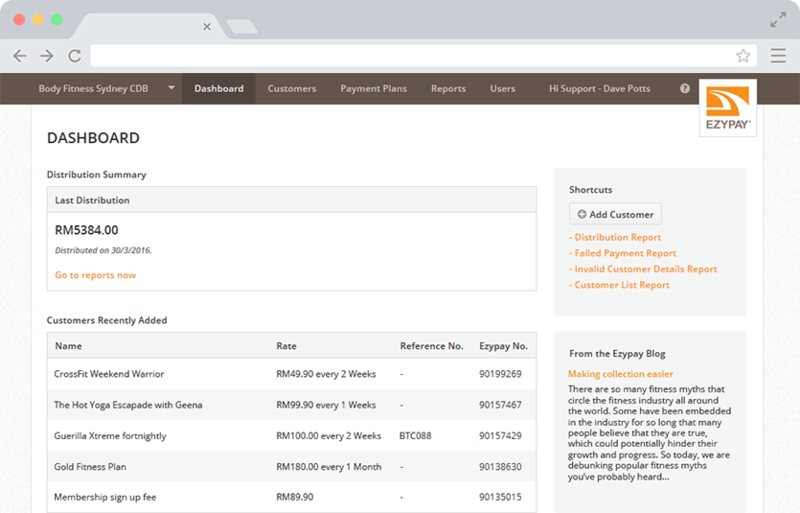 Effortlessly handle your payment collection and electronic invoicing. Bill your customers any day of the week at different rates, currency and speed up payments with automated electronic invoicing. Ezypay uses direct debit payments which significantly improves the success rate of payment collection. Our Australian clients constantly achieve a 99.5% successful payment collection rate. Ezypay accepts direct bank account payments and online payments via Visa, MasterCard and American Express around the world. 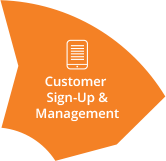 Increase revenue and cater to more customers by supporting multiple payment types and methods with Ezypay. 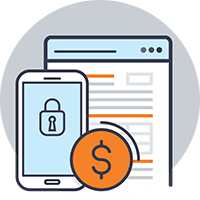 All electronic invoicing and payment collection via Ezypay are compliant with taxation standards and PCI DSS. Rest assured that your tax, sensitive business and customer data is being handled at the highest level of data security and within the law. 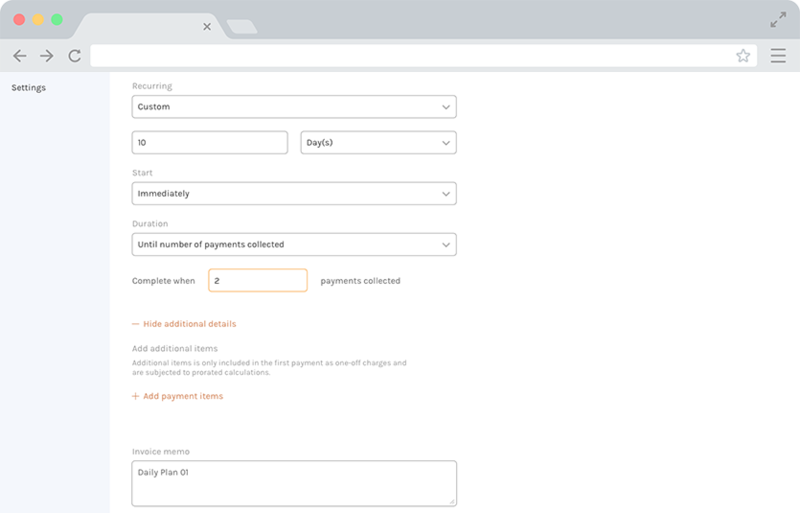 You create a payment plan, and Ezypay will do the rest. 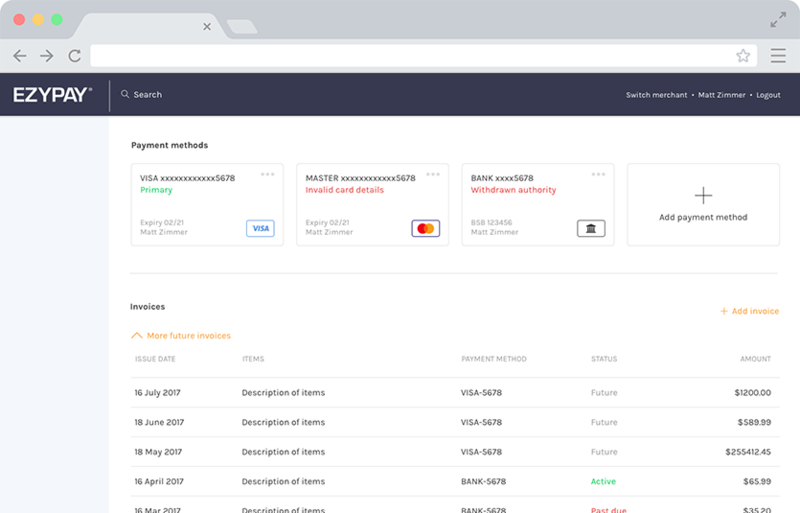 Our solution can automatically collect from your customers, and caters for a range of arrangements, from one-off to recurring payments and even advanced collections. 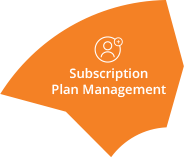 We are flexible and can support any one-off or permanent changes to payment dates, methods or plans to keep your customers satisfied and help them pay you. We handle payments via direct debit banking, online payments and credit cards. Our online payment gateway is a fast, convenient and secure way to pay with Visa, MasterCard and AMEX. Real time notifications are sent to customers confirming their card payment success or failure. 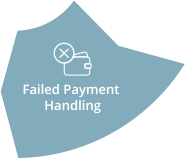 Avoid outstanding payments and give your customers time to resolve payment issues with their bank or Ezypay. 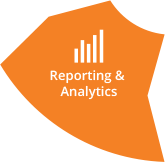 Local and global support is provided for all our clients so you can avoid any unexpected currency conversions fees, reduce false declines and save costs. Make it convenient for your customers and improve your accounting transparency by billing in the customer’s local currency. Ezypay’s payment plans will automatically convert payments from local currency into your preferred currency.